Wedding gifts can be tricky. 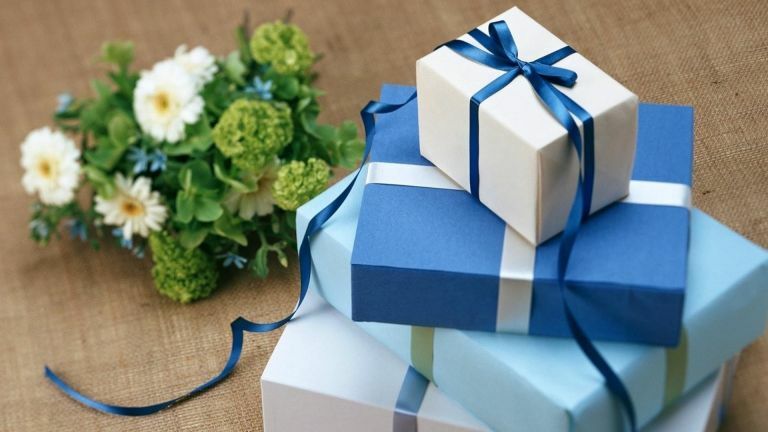 These days, most couples already live together so they don’t often need all the classic appliances for a brand new home, and although lots of couples now ask for money towards their honeymoon, it is still nice to give a gift that they may not have thought of themselves, to make their day extra special. And, logically enough, the best gifts for her. When considering what type of wedding gift to buy, it is first of all important to think about the people you’re buying for, and their lifestyle habits as a couple. For those who enjoy travelling and going on adventures, an experience gift such as the Red Letter Days Boutique Escape With Dinner For 2 is a thoughtful idea for the couple to enjoy some quality time together after the wedding. If they’re very social and enjoy hosting, then something like the Big Green Egg BBQ or the west elm Mid-Century Bar Cart are great household items for use at parties and gatherings. Check out our full list below for some unique high end wedding gifts. Summers aren’t complete without a barbecue. However this luxury model, as well as making the perfect high end wedding gift for any couple that loves doing it outdoors, is also a high-end cooking machine that can be used all year round. Meat lovers in particular, will be transported to culinary heaven by what it does to beef, pork and chicken. More prosaically, the transporter casters make it easy to move this gargantuan cooking egg around the garden and it’s easy to keep clean, as barbecues go. The ceramic base, dome, fire box and fire ring all come with a lifetime guarantee so this BBQ is a worthwhile investment to enjoy for many many years to come. If you know the newlyweds-to-be are very active people, then this inflatable kayak is a great gift for them to enjoy together. Well, it certainly beats a John Lewis dinner service. It’s not only durable, but the seats are also fully adjustable for complete comfort. It comes in a handy carry bag and a repair kit should any punctures occur. So whether it’s fishing or just a leisurely paddle they enjoy, this inflatable kayak is portable and lightweight for all those weekend trips away. A wireless speaker is a very handy gift for use all year round. Whether moving music from room to room or taking it out in the garden or to the park, this battery-powered Marshall Stanmore wireless speaker has the usual Bluetooth connectivity, so you can hook up your music from any smart device, but also packs a big sonic punch. Modelled on Marshall's legendary guitar amps, the Stanmore could have been a boy's toy but we love the retro design in cream, which makes it more of a unisex rocker's delight. Sometimes practical gifts are a little boring, so why not give the gift of a getaway with this Red Letter Days Boutique Escape. This experience package allows the recipient to choose from a range of destinations and venues, as well as a choice of restaurant. It’s an overnight break that could be just what the couple need when the honeymoon is over. They’ll get to experience VIP treatment, luxury accommodation and only the best produce with their evening meal. Those who travel together, stay together, and with these tan leather luggage tags, so will their bags. Whether the happy couple often travel together for leisure or they are both jet setting around the globe on business trips, these leather luggage tags really do look the part. Aspinal of London are a well-loved brand and you can expect excellent quality that will stand the test of time even when being bashed around in the hold. You can’t go wrong with a bottle of classic champagne, but how about something with a twist? This rose champagne is a little different, tastes delicious and comes beautifully presented in a rose gold cage. It’s a special edition from Laurent-Perrier, so anyone who likes their champagne will be happy to have this added to their collection.Rose is a lot easier on the palate, and you can expect notes of strawberries, redcurrants and raspberries which make this a softer tasting drink. A nice piece of luggage is a worthwhile investment, especially if you know the person you’re buying for travels often. It is a thoughtful and practical gift that will be well-used by its recipient, and this Bellagio Roller Case is a classy leather item with reliable four wheel spinners that make this case easy to manoeuvre. It’s said to be well-built and sturdy, so it’ll withstand being put in the hold and being used regularly. It’s surprisingly spacious with plenty of compartments for clothes and toiletries and also comes in a range of colours. This portable pizza oven is a fantastic unique wedding gift idea that can make wood-fired pizza in just 60 seconds. this portable stainless steel oven heats up in around 10 minutes and comes with a stone baking board including for you to make your very own homemade pizzas. This little oven gives you all the benefits of homemade pizzas without the hassle and cost of installing a real pizza oven. You can use it both indoors and outdoors so you can make tasty pizza all year round. If you want to get a completely personalised gift, then this sound wave framed print is something that you may not have thought of. You can choose any song you like, from their favourite song that reminds them of each other to Shaddap You Face by Joe Dolce. Not on the High Street will do everything for you: simply let them know the song and the artist and you’ll receive the whole song in sound wave form, from start to finish printed in metallic foil and framed. Then, whenever anyone sees it and says, "What the hell is this?" they'll be able to say, "Ah, that is the first dance from our wedding, rendered as a sound wave. Or maybe it's Shaddap You Face by Joe Dolce. We can't be sure." You can now create your very own wine cellar at home with this iSommelier's portable wine decanter. It comes with a carafe which allows you to aerate even new bottles of wine to remove dust and impurities for the best taste. Wine lovers will get a lot of use out of this gadget which is both portable and rechargeable so it would make a great talking point for dinner parties if you want to show off your knowledge.